Peroni Nastro Azzurro, the Italian beer brand, will bring its annual brand activation to Covent Garden for the seventh House of Peroni. This year’s house will engage consumers in an immersive showcase space designed to spotlight emerging talent. 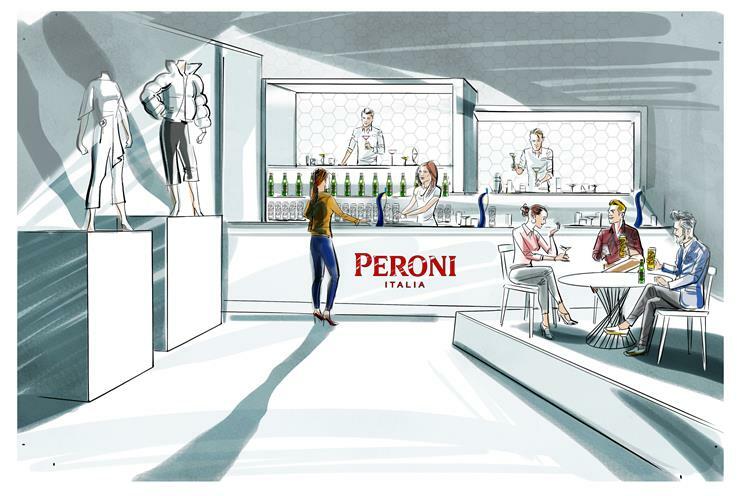 The House of Peroni 2019, which will run just after London Fashion Week from 26th February until 12th March 2019, will feature eight spaces inspired by the work of emerging designers. Visitors can explore an interactive straw dome, a multi-sensory futuristic sci-fi room and a space scattered with graffitied chairs, designed by the artist to represent rebellion and archetypes. Each of the eight chosen designers will also be showcasing their collections during London Fashion Week. The drinks experience includes a choice of Peroni-infused cocktails and guests will also get a sneak preview of Peroni’s restyled bottle and glass design, which will be rolled out in March 2019.